One boy’s lonely Christmas without his dad is saved by this cuddly pup: a hero and true friend. Joe is dreading his first Christmas without Dad – killed abroad while serving in the army. Joe’s life feels empty, until Mum has a brilliant idea. They could adopt a Helper Dog, training it to assist someone in need. Joe has always wanted a dog. When he meets Patch, it’s love at first sight. 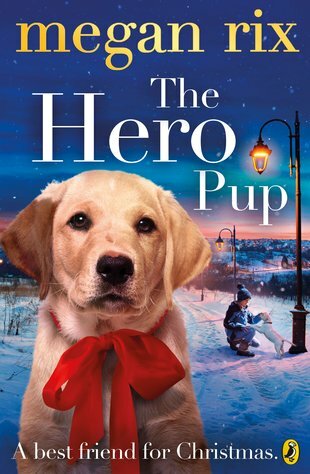 Can Patch go from playful pup to hero – and mend Joe’s broken heart along the way? The perfect animal story for the winter holidays: great if you love Holly Webb or Michael Morpurgo. I absolotely ADORED this book. Joe is allowed a puppy, because his Dad passed away. He is called Patch and helps people in wheelchairs, Joe absoloutely loves Patch, and once took him into school and everyone loved him. At Christmas, Joe had to take him to someone elses home so he could look after that person, and Joe was luckily allowed to see him after school and weekends, which he loved. It does make you cry at the end, but I know everyone will enjoy this book. My favourite character has got to be: Patch, because he is so cute and I love PUPPIES.